Tourbillon Souverain Vertical Gold front. 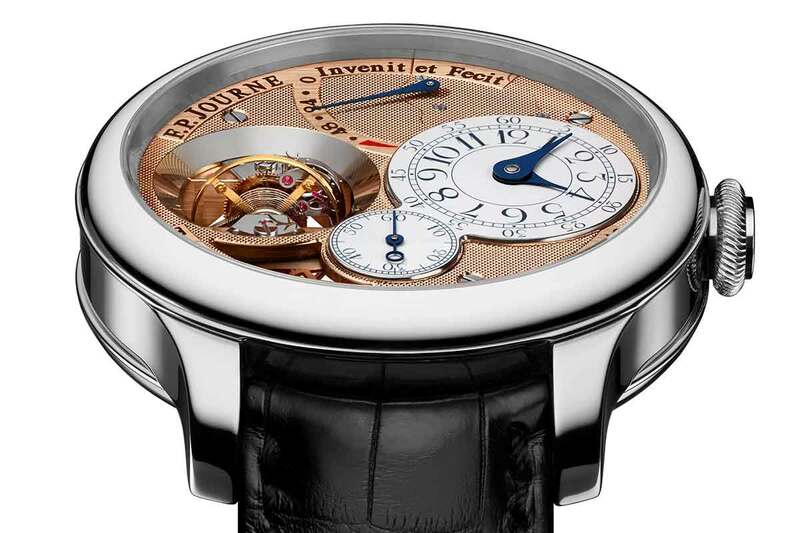 The innovative and revolutionary horological creator François-Paul Journe has inspired a generation of contemporary watchmakers with the originality of his creations, his quest for precision, his timeless and immediately recognizable style, and his respect for horological ethics and traditions. Fascinated by the tourbillon since his youth, François-Paul Journe began to make his first watch when he was 20 - entirely by hand. It was a tourbillon pocket watch. In 1991, he created his first tourbillon wristwatch, selling the very small number of examples to a handful of knowledgeable collectors. 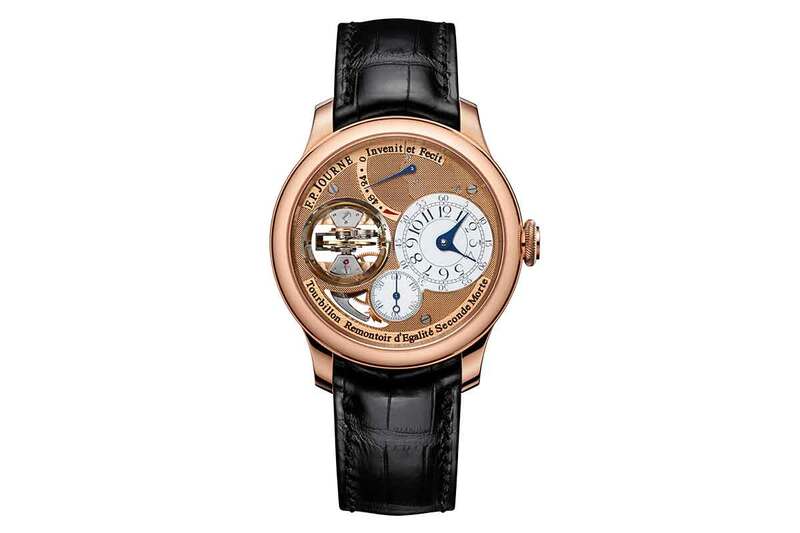 In 1999, he launched the first Tourbillon Souverain with remontoir d’égalité in wristwatch form. 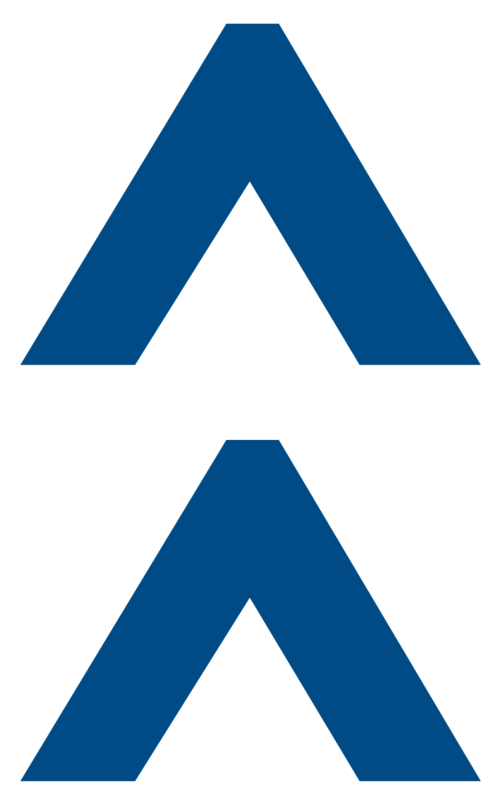 It was sold by subscription and was much sought after by collectors who rival with each other to get on the short list of 20 examples. The year 2003 saw the birth of the new generation of Tourbillon Souverain, to which François-Paul Journe added natural deadbeat second. 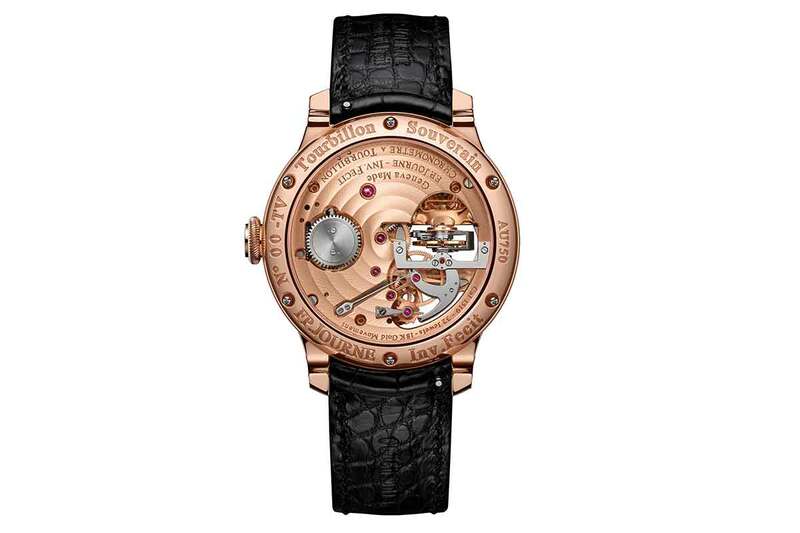 Then, to make the watches even more desirable, he produced his haute horlogerie movements in 18 k rose Gold, a first in the world of modern mechanical watchmaking. Tourbillon Souverain Vertical Gold back. Tourbillon Souverain Vertical Platinum front. 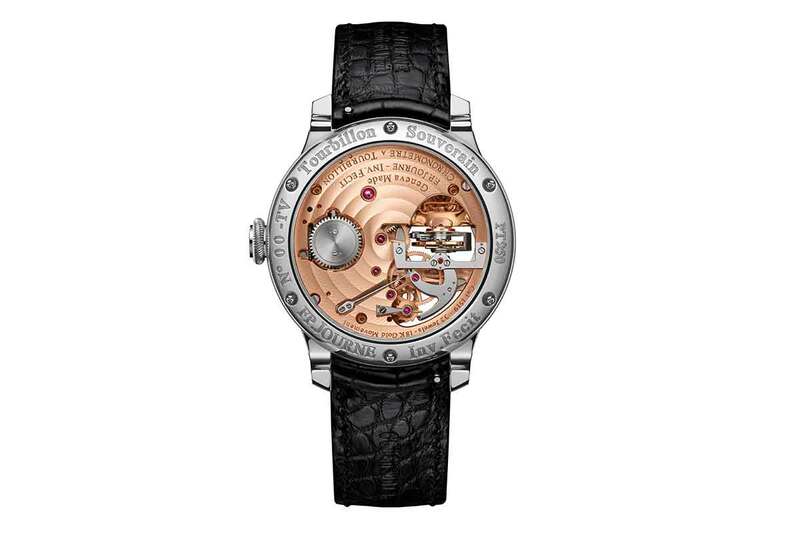 Tourbillon Souverain Vertical Platinum back.